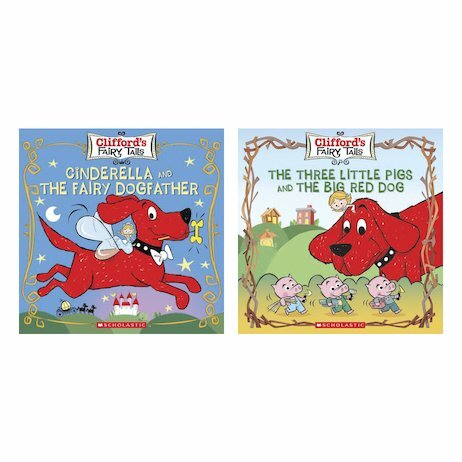 We all love fairy tales – even big red dogs! But here’s a secret. Fairy tales in the dog world are… well, they’re not quite like ours. For example: Cinderella doesn’t have a godmother. She has a dogfather! And forget the Big Bad Wolf. What will the three little pigs do when the Big Red Dog turns up? If you’re looking for the perfect bedtime stories, look no further. Giggle as Clifford retells favourite fairy tales his way!